In Beholder: Blissful Sleep, you play as Hector Medina, the former building manager of the apartment block in the main game. This seems to be a prequel, giving you a glimpse into the lives of some of the characters residing there before Carl Stein and his family moved in. While Beholder offered more of a sweeping overview of the totalitarian government in general, the story of Blissful Sleep focuses on the opening of a Euthanasia Center in the nation. Citizens are beckoned to the Center as soon as they turn 85 years old, and though Hector is nowhere near that age, his birthdate has been recorded wrong in government paperwork and his time is swiftly approaching. Will he be able to avoid this gruesome fate? Hector, like Carl before him, is a spy for the state, though how long he’s been at this post prior to the game’s events is unclear. Blissful Sleep is largely unconcerned with profiling tenants, however. Helping Hector escape euthanasia is center stage, with most side quests concerning other things like purchasing fireworks, finding your residents new jobs, or solving an adoption dispute. Much like in the original game, you can’t make everyone happy and each mistake is painful. The gameplay in the DLC is basically identical to the main game. You can install surveillance cameras, search rooms, buy items from the street vendor, and turn in tenants for illegal possessions or activities. One of the core mechanics, looking through pieces of furniture, has been slightly tweaked. Instead of being able to hover over items to see which ones provide information, you have to individually click on them and wait for the text to change color. This takes longer and comes with much more of a risk of getting caught in someone’s apartment where you don’t belong. As I mentioned, Blissful Sleep takes place in exactly the same apartment building and features many of the same residents you met in the main game. There are some new characters and storylines, of course, but overall this game comes off as an extension of the original. It doesn’t feel like DLC in the typical sense. Though it could function as a standalone story, familiarity with Beholder will give you a greater context for the game’s events and make you appreciate it more. In some ways, this game is easier than the main title. You don’t have to search apartments nearly as much, and instead of having to care for multiple family members, you have a pet cat that occasionally needs food. The one thing that creates more of a challenge, along with a greater sense of tension, is the altered searching mechanic. It also seems like you have to be a bit more creative and get into a lot more conversations with tenants in an effort to find a solution to your problems. 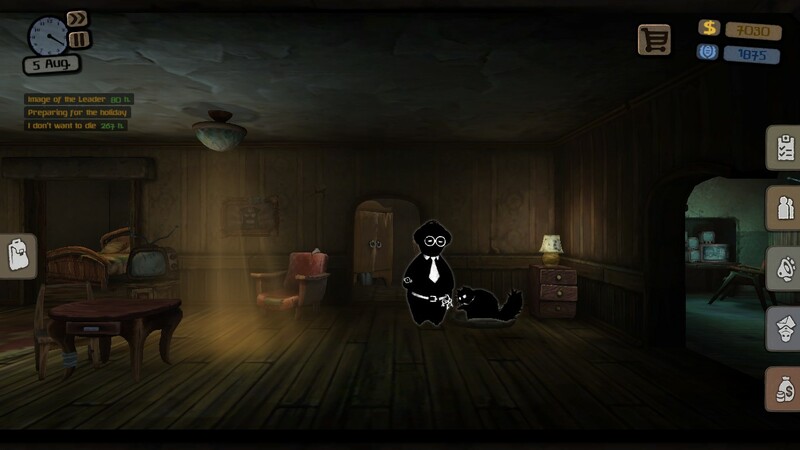 Beholder: Blissful Sleep is an interesting prequel wrapped up in the package of DLC. Other than having more dialogue and changing one mechanic, it’s essentially the same gameplay as the original. That doesn’t bother me in the slightest, though, because I love the narrative style with its subtle humor and overarching feelings of hopelessness under an oppressive government.